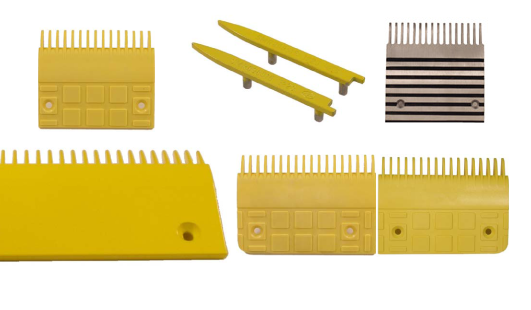 Comb plate updating and replacement can help maximize safety. 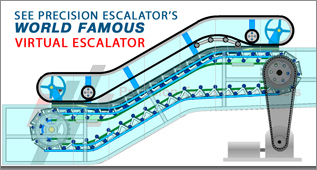 They are typically easy to install with just a screw driver, but the question is which comb plate to use for each individual escalator make, model and escalator step. We also offer a variety of colors and materials -metal or plastic-polymer. We believe it’s really best to call one of our expert engineers to discuss all the options available to for your application. It’s best to call us 800-233-0838 for specific options. Additionally, please see some of our combplate product samples in the each of the manufacturer’s sections of this website. You can see many examples of these products that Precision and can supply to you. To better understand all our options available for your make and model units, we encourage you to call directly to speak to our Precision Expert Engineers.